In the twentieth century, urban growth was one of the most powerful catalysts of geographical, social and demographic change in the Western world. When this book was first published in 1989, however, a massive process of counter-urbanization was underway, which saw the loss of population and jobs in cities and a pronounced urban to rural shift. This book analyses the causes and consequences of urban decline in Britain and the developed world during this period and beyond, and assesses the implications for urban planning and policy. 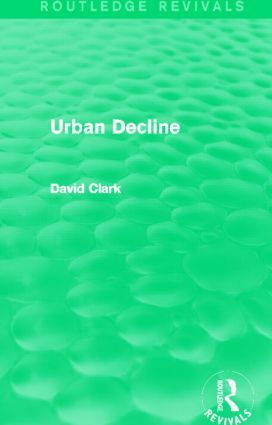 David Clark’s relevant and comprehensive title will be of value to students with a particular interest in urban geography and development.